With a vivid pop of colour, this scallop dish from Mark Dodson has huge visual appeal and would make an impressive starter for a dinner party. 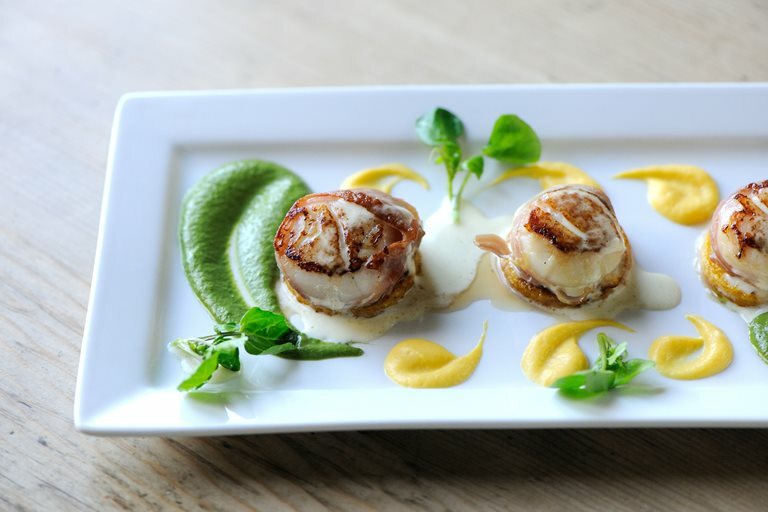 The traditional pairing of scallops and pork (prosciutto, Parma ham, and chorizo are frequent choices) is bolstered by the creamy sweetness of butternut squash and freshness of watercress, making the recipe equally suitable for all seasons. Wrap each scallop in a strip of prosciutto ham, one slice of ham should wrap 3 scallops. Secure each one with a cocktail stick.